Prior to SoftBank, Reddy had spent eight years at Facebook, mostly as managing director for its India business. 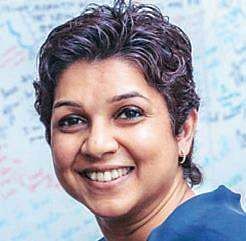 NEW DELHI: Former Facebook India head Kirthiga Reddy has joined SoftBank Investment Advisers, which oversees the Japanese firm’s $100 billion Vision Fund, as its first venture partner. Reddy will be based out of SoftBank’s Silicon Valley office and will work with senior managing partner Deep Nishar. Reddy, 46, said her focus will be frontier technologies such as Artificial Intelligence, robotics, health, Internet of Things and more. “I look forward to contributing to their mission to positively shape the future by seeking to back the boldest, most transformative and optimistic ideas of today,” Reddy said. Prior to SoftBank, Reddy had spent eight years at Facebook, mostly as managing director for its India business. She was also the first employee of the social media giant in India and has played a crucial role in establishing the company in the country. Reddy has also worked with such as Silicon Graphics and Motorola. However, her departure from India made more headlines than any of her past endeavours in a highly successful career. On February 12, 2016, she announced stepping down as Facebook India managing director, a day after closing down its controversy-ridden Free Basics programme.Telecom regulator TRAI and Indian government had come down hard on the programme, with the regulator, after months of consultation, barred operators from charging discriminatory rates for Internet access based on content. Reddy, however, cited personal reasons to move to the US. “It’s a unique moment in time to join SoftBank, learn from Deep and the talented SoftBank team and help shape the next set of transformative companies. So excited!” Reddy said on her appointment.